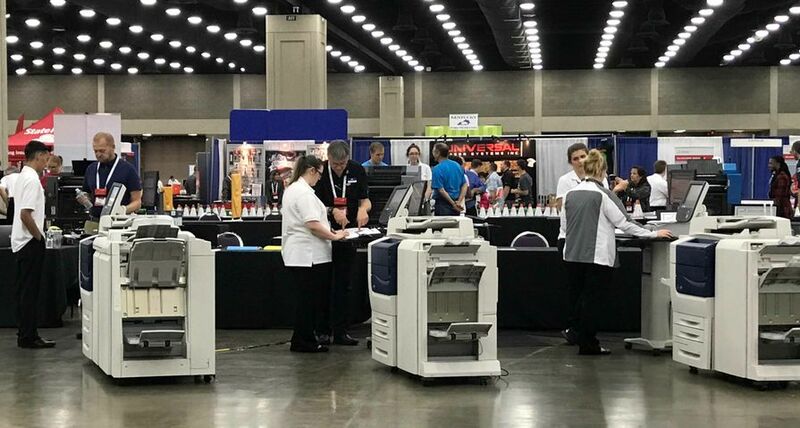 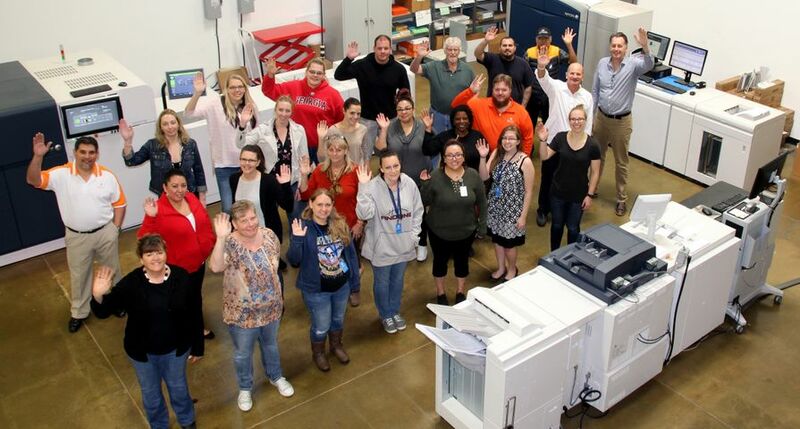 With up to 5 million pages of direct mail each month, Pittsburgh Mailing, looked to inkjet technology to provide more speed and a full color multifaceted press that could accommodate fluctuating high volumes. 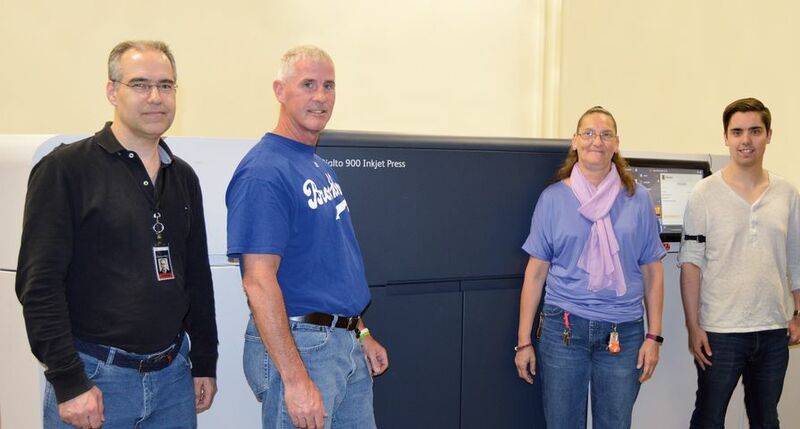 The Pennsylvania-based company chose the Xerox Rialto® 900 Inkjet Press with Dynamic Perforator as it checked every box as a productive solution that could print, stack and provide inline dynamic perforation and edge trim. 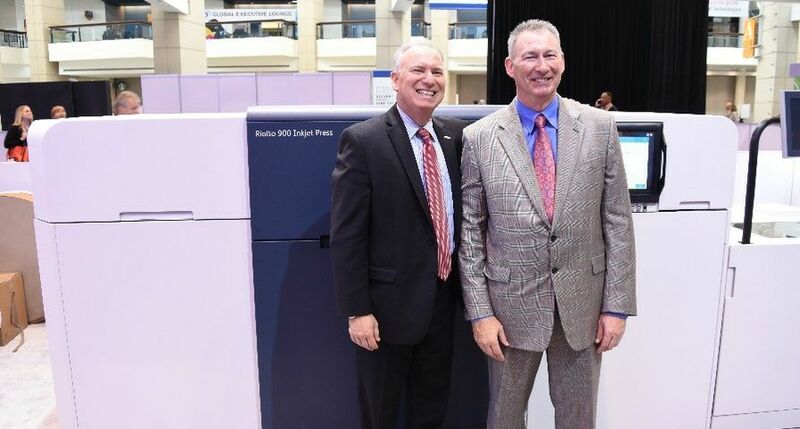 “Not only will the Xerox Rialto eliminate the need for mono overprint on offset shells, the new press will enable a quick transition to continuous feed inkjet products and help us compete with low-cost alternatives,” according to the president and CEO Kurt Smallhoover. 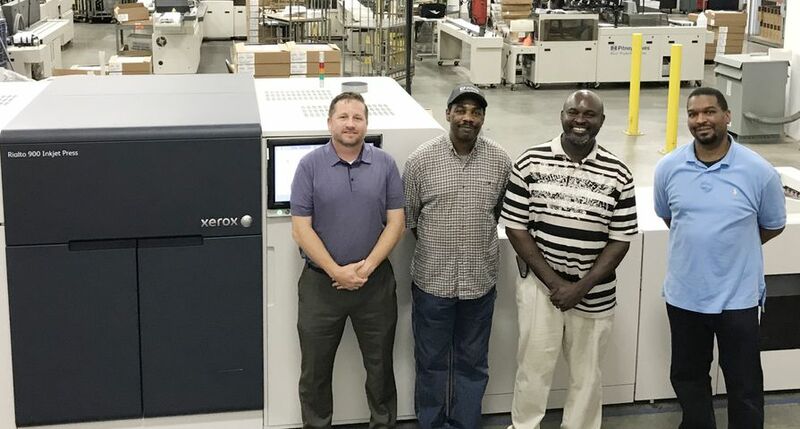 Smallhoover says Pittsburgh Mailing added the production inkjet to its fleet of Xerox presses after surpassing $12 million in revenue, with monthly outputs increasing by nearly 50 percent. 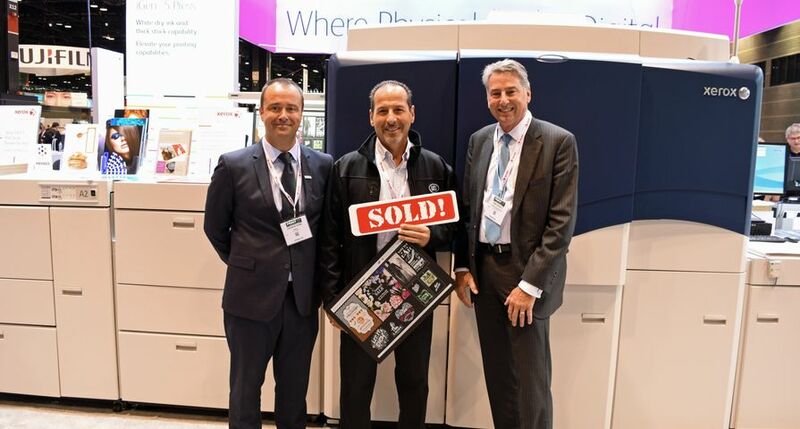 The high speed, small footprint and unique roll-to-cut sheet press makes the transition to inkjet affordable and is perfectly suited for the direct mail market. 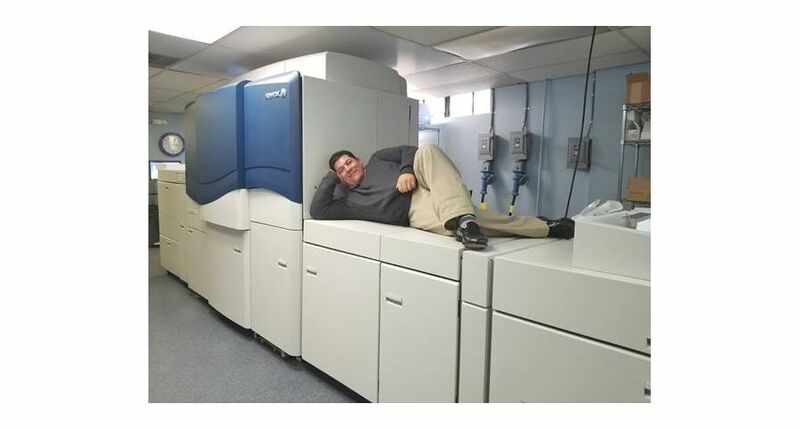 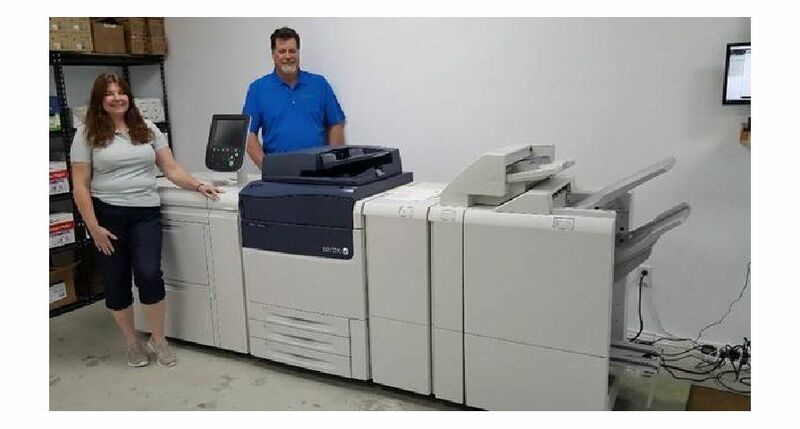 Upon purchasing the Xerox Rialto 900 Inkjet Press with RDP, Smallhoover consulted with a Xerox software expert to find a workflow solution to fit their specific needs. 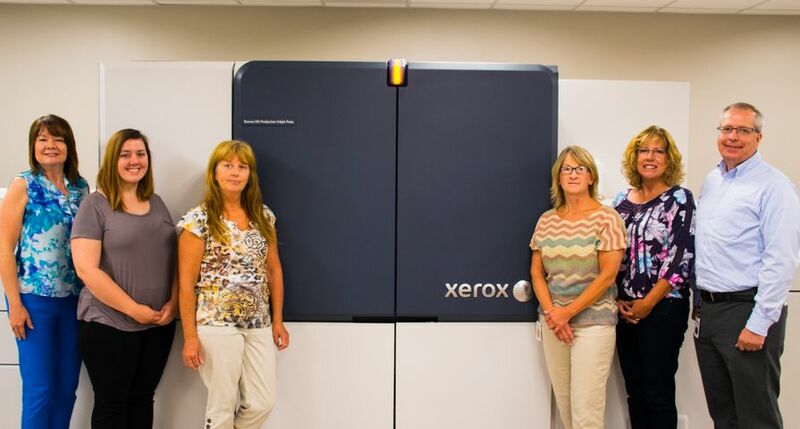 Pittsburgh Mailing went on to upgrade their print workflow from VIPPO to Xerox FreeFlow® VI eCompose. 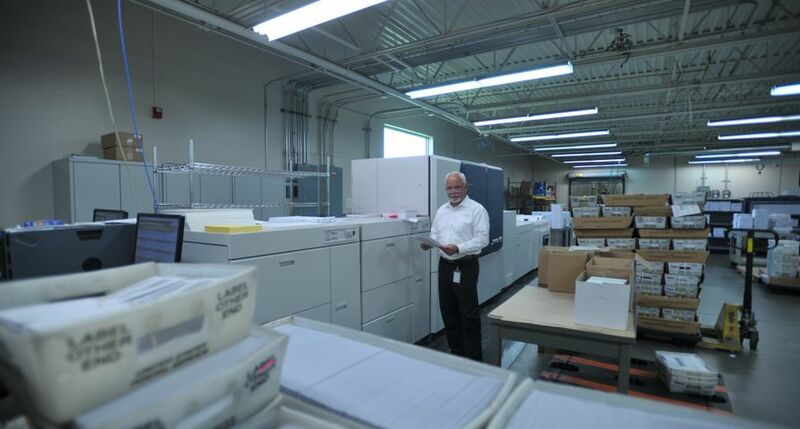 FreeFlow eCompose enabled Pittsburgh Mailing to seamlessly and quickly migrate to a workflow that is increasing productivity, efficiency and overall application value. 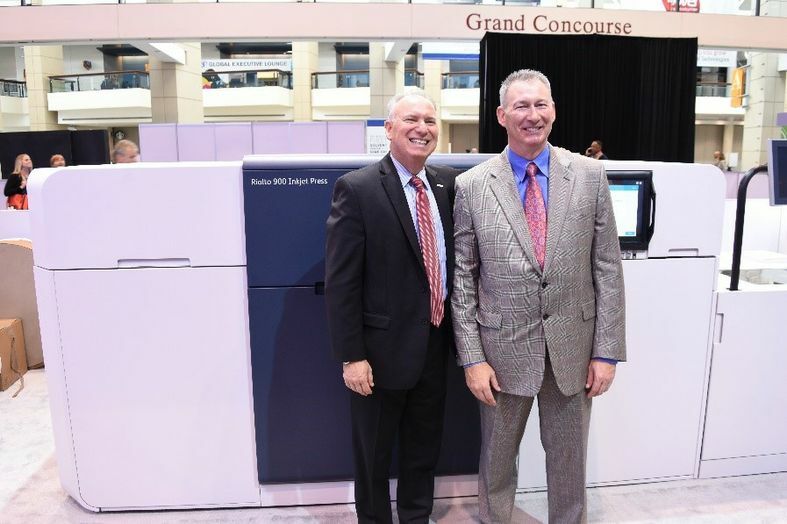 From left to right: Xerox CEO Jeff Jacobson and Kurt Smallhoover, president and CEO for Pittsburgh Mailing.